What can a can of vegetables or fruit have to do with Rhodes Day? 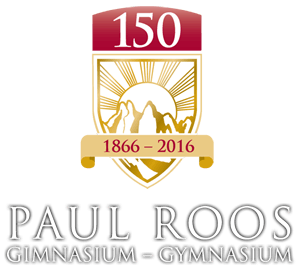 This is the day each year on which Paul Roos pays tribute to the founder of the scholarships that have sent a Paul Rooser to Oxford University in England almost every year since 1903. The answer is in the label: “Rhodes” and RFF (Rhodes Fruit Farms). The scholarships and the farms are two of the legacies of Cecil John Rhodes, a sickly 13-year-old who came out to South Africa in 1866 to join his brother, who was trying to grow cotton in KZN. Rhodes was to die at the early age of 49, but he packed an amazing amount into his short life. To achieve what he wanted to achieve, Rhodes needed money. His father was a humble parish priest, so there was no prospect of finance from that quarter. The cotton farm did not bring it in fast enough, but diamonds had been discovered in Griqualand West, the Kimberley district, and Rhodes persuaded his brother to take him there. The young Rhodes turned out to be a shrewd and at times ruthless business man. By the age of 20 he was already a wealthy man. He decided to return to England and enter the university of his dreams – Oxford – Oriel College, to be exact. His time at Oxford had a great impact on him. His dreams for establishing a World Empire were first formulated here. In the first draught of his will, to be revised several times in his life-time, he stated his avowed intent of establishing a “Secret Society”, to be spread out around the world to work in Britain’s interests. This idea was eventually replaced by the more practical and respectable plan to set up the scholarships (beurse), which is what PRG commemorates on Rhodes Day. 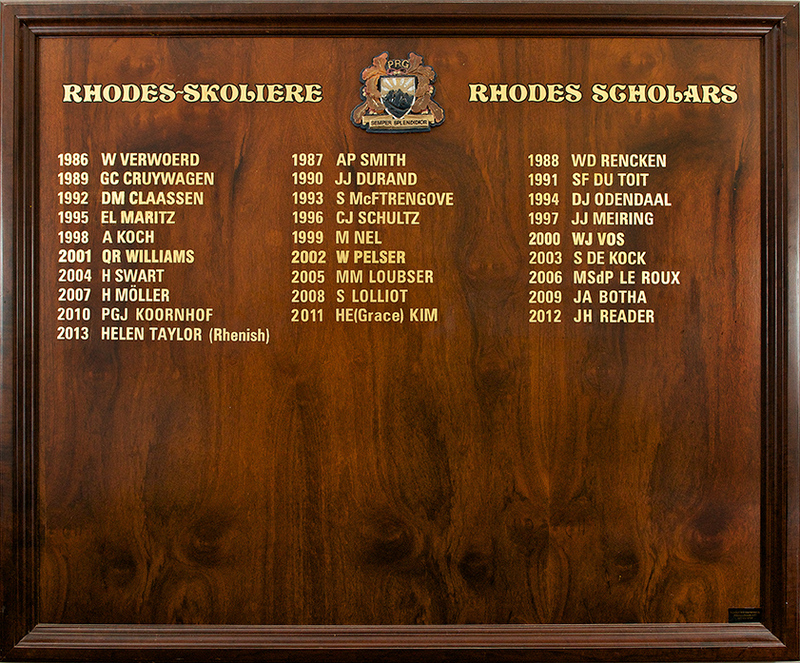 It took Rhodes eight years to graduate because he kept returning to Kimberley to see to his business interests. By 1881 he had established the giant De Beers Consolidated Mines after the famed amalgamation with Barney Barnato’s company together with other smaller ones. 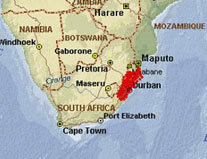 He then had the monopoly of the diamond trade in Southern Africa. 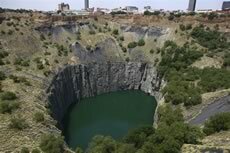 Under Rhodes’ influence, the trains to Bloemfontein and Pretoria goes via Kimberley, and the lines run past one of the two huge man-made holes from which diamonds used to be mined. The deepest hole is the Kimberley Mine, popularly known as the “Big Hole”. Rhodes had also turned his attention to the politics of Southern Africa, being elected a member of the Cape Parliament for Barkley West and becoming the Prime Minister of the Cape in 1890. He had persuaded the British Government to annex Bechuanaland, now Botswana, while he himself had become chief administrator of the British South Africa Company, which had control of modern-day Zambia and Zimbabwe, including the mining rights. These states were initially called Northern and Southern Rhodesia, after him, an achievement in itself, almost unique in the world. His aim was to build a railway, joining the Cape to Cairo. Writers of the time referred to him as a “Colossus” – a figure larger than life size. When Rhodes died in 1902 in his sea-side cottage at Muizenberg, he left a huge fortune behind. 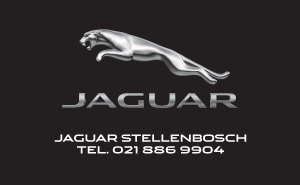 He had already invested a portion of it in buying farms, mostly in the Paarl, Franschhoek and Stellenbosch districts. Among others he bought the estate of Boschendal and set about restoring the buildings on it. 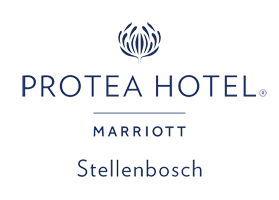 The area of Stellenbosch called Die Boord was originally one of the farms. 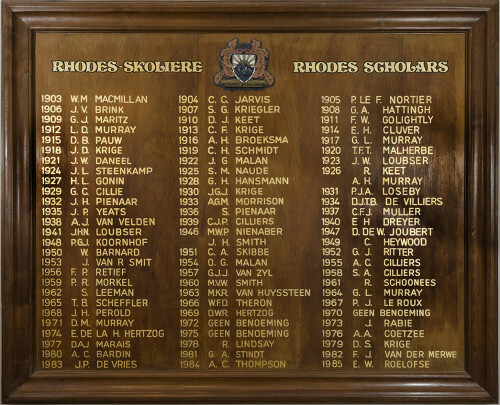 It was fitting that he should have singled out the top school of the Winelands, Paul Roos, (then called the Stellenbosch Gymnasium) to be honoured as one of only four schools to each receive an annual scholarship, in its own right. The others are Diocesan College (Bishops) and the (South African College School (SACS) in Cape Town, and St Andrew’s College in Grahamstown. There exist today some 90 scholarships worldwide – covering Australia, New Zealand, Canada, the United States (America had been a British possession once and Rhodes hoped to maintain a British influence there), Germany (the German Kaiser had been a personal friend of Rhodes and had co-operated in Rhodes’ plan to build a railway through East Africa), and India, as well as South Africa at large (open to any South African between the ages of 19 and 25). Rhodes was not married and had no offspring and the idea that women, too, might like to go to Oxford did not enter his mind. In fact, Oxford University was closed to females at that time. Today the scholarships are open to men and women. Because of this, Paul Roos and the other three boys’ schools were privileged to have a scholarship to themselves. In the 21st century, this scholarship has been opened to include the original school’s sister schools. 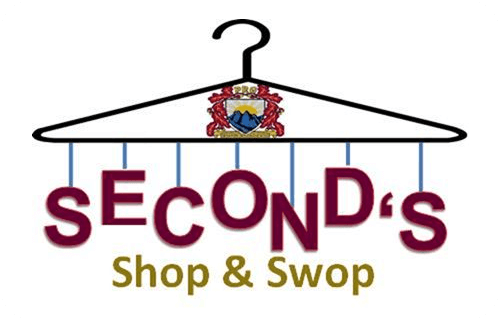 In 2012, the Paul Roos scholarship was awarded to Helen Taylor of Rhenish Girls’ High. Rhodes Scholarships send the successful candidates to Oxford University, to a college of their choice, for example, Balliol College, Magdalen College, New College, or Oriel College, Rhodes’ own college, to name but a few. In 2014, the value of the scholarship was set at about £13.400 per year for two years (this includes tuition and living costs). For his personal use, when in Cape Town, Rhodes had bought the large Groote Schuur Estate on the slopes of Table Mountain. He built a mansion for himself, which, in after years would become the official residence of Prime Ministers of the united South Africa. On his death a large tract of land was allocated for the establishment of a new campus for the University of Cape Town. The post office on campus today uses the post mark “Rhodes Gift”. 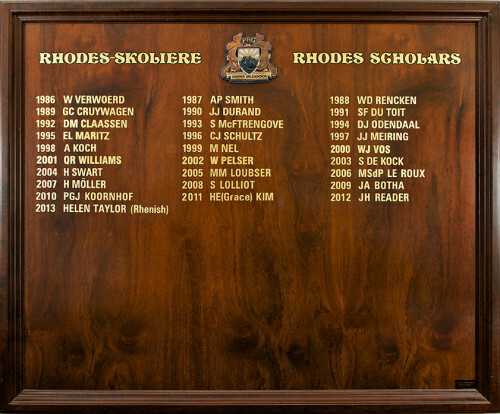 Rhodes also left money for the establishment of a University in Grahamstown, Rhodes University. His influence on education in South Africa has therefore been considerable. Rhodes’ hope was that the recipients of the scholarships would be “indoctrinated” with a desire to promote British ideals and interests once they returned to their respective countries. I do not think that this original ideal is seriously considered today. Rhodes decreed that when he died his remains should be buried in a grave in the Motopo Hills . Sir Herbert Baker, however, designed a stately Memorial to his memory on the slopes of Table Mountain, at the top of his Groote Schuur Estate. It is decorated with exact copies of the lions that are to be found in Trafalgar Square in London; and a copy of the horse statue, “Energy”, sculpted by Isaac Watts, is also to be found in London, in Hyde Park . Thus lived Cecil John Rhodes, the Founder of the Rhodes Fruit Farms, the benefactor of universities and founder of the Scholarships that bear his name. In any generation of Paul Roosers, there are potentially at least 5 Rhodes Scholars. Any student with a first university degree and a well-rounded personality is free to apply for one. 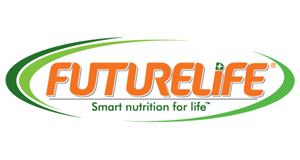 The competition is fierce and if the applicants in any one year are considered below par by the selection committee, no award may be made. Nevertheless, the reward for the successful candidate is a life-changing experience. 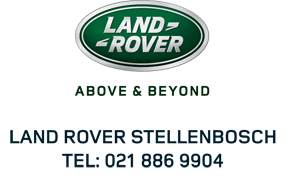 Applicants must have completed 3 years, including their matric, at either Paul Roos Gymnasium, Rhenish Girls` High or HMS Bloemhof. Kandidate moes reeds `n graad verwerf het met die aanvang van studie aan Oxford, m.a.w. moet ten minste in die finale jaar van studie van sy/haar eerste graad wees met aansoek van die Rhodesbeurs. Applicants must be a citizen or legal permanent resident of, and have resided for at least five years within the period of ten years immediately preceding your application in South Africa, Botswana, Lesotho, Malawi, Namibia or Swaziland. Unless a medical student or medical doctor, applicants must be at least 19 years and younger than 25 years on 1 October in the year after selection. For medical students and medical doctors the age limit is extended by three years. If applicants are registered for an MBBCh or an MBChB degree they may apply during their internship, provided they are younger than 28 on 1 October in the year after selection, i.e. the year you would start at Oxford.